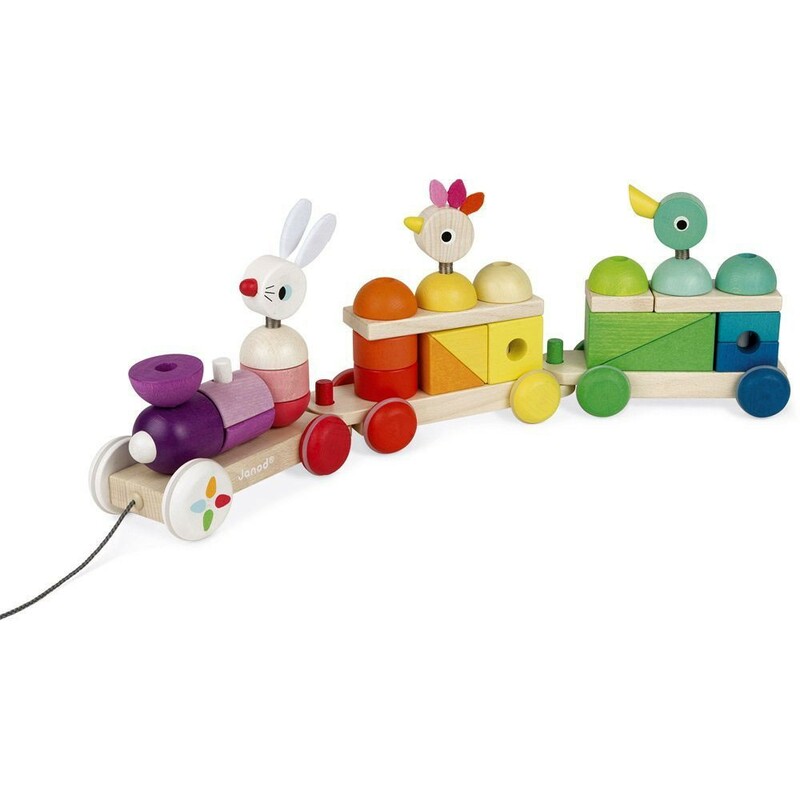 The Janod's Zigolos Giant Multicolor Train is 2-in-1 activity toy: a set of 25 colorful stacking blocks, and a pull-along animal train! 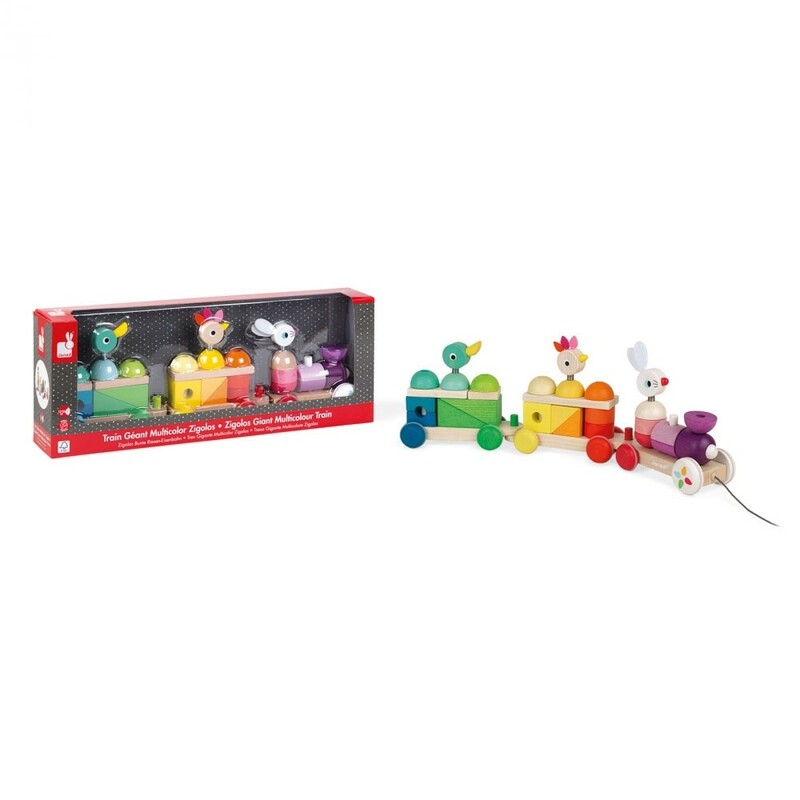 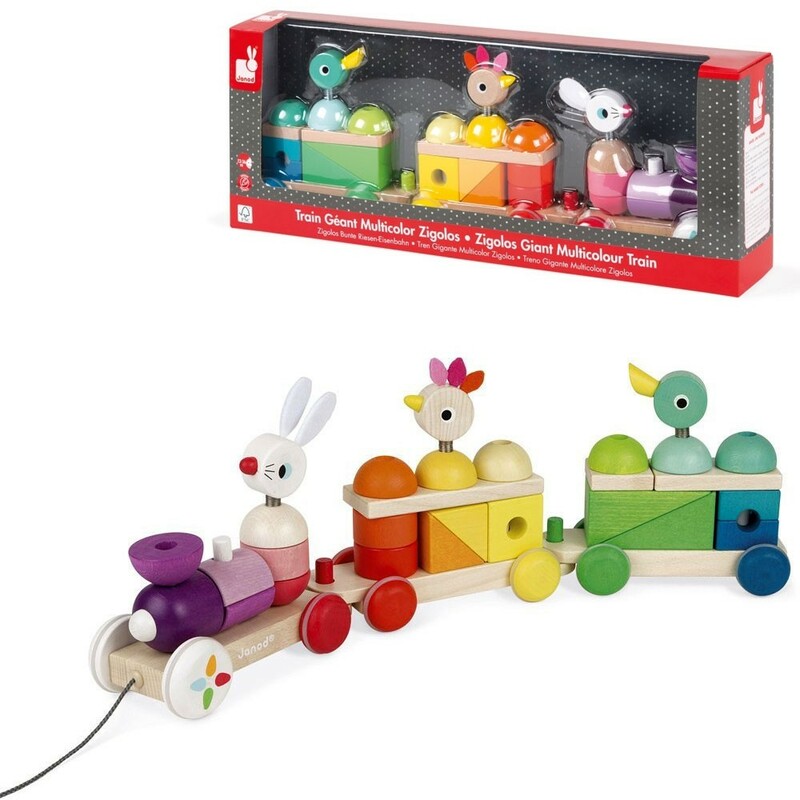 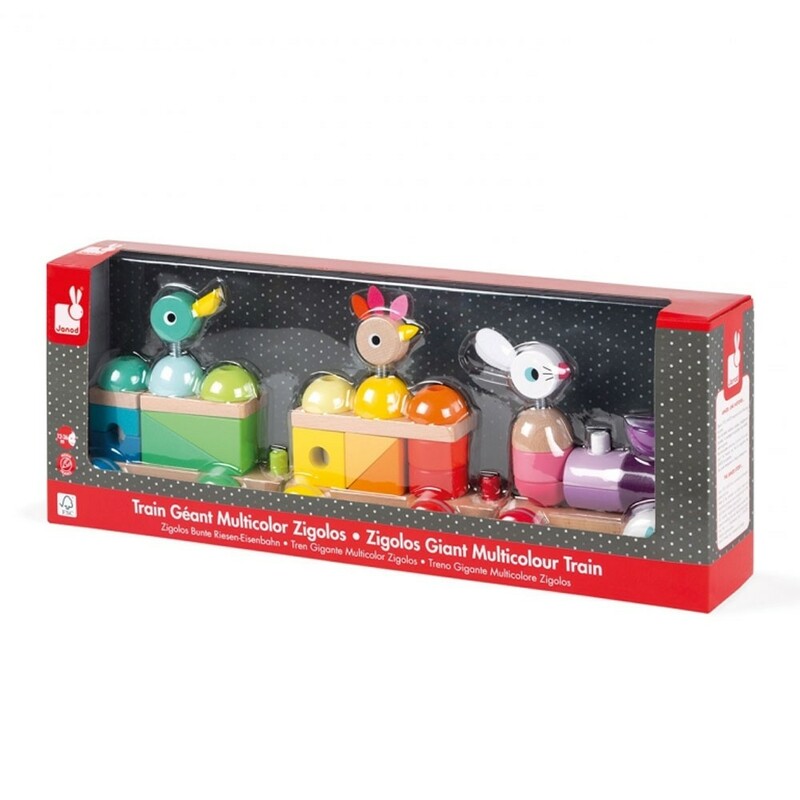 It's a pull toy choo-cho train, it's a stacking activity toy, all in one gift box! 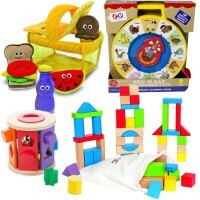 It's a new Janod's activity center that is, as usuall, artistically designed and very well made. 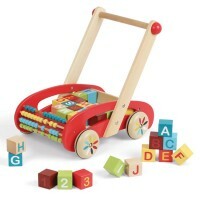 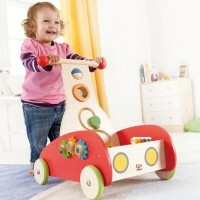 The Zigolos Giant Multicolor Train Stacking Pull Toy is and 2-in-1 toy that develops both small and large motor skills. 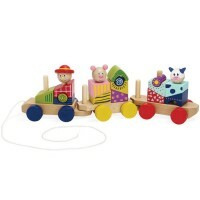 Babies and tots start moving around pulling the animal train along. 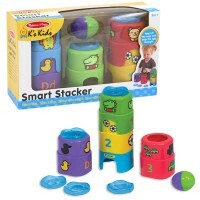 And they refine their manipulative skills as they match and stack the colorful blocks. 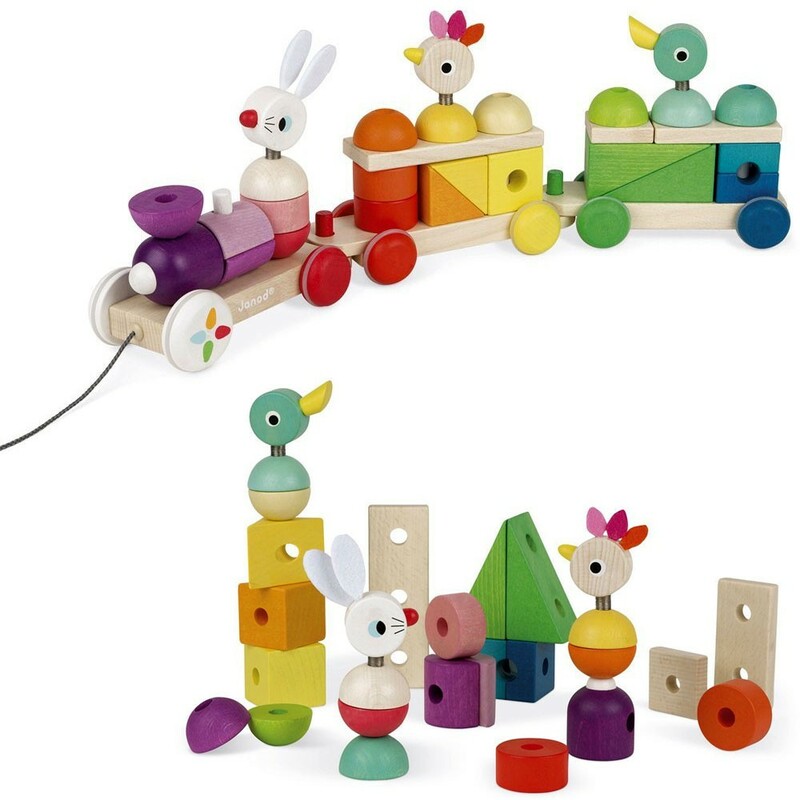 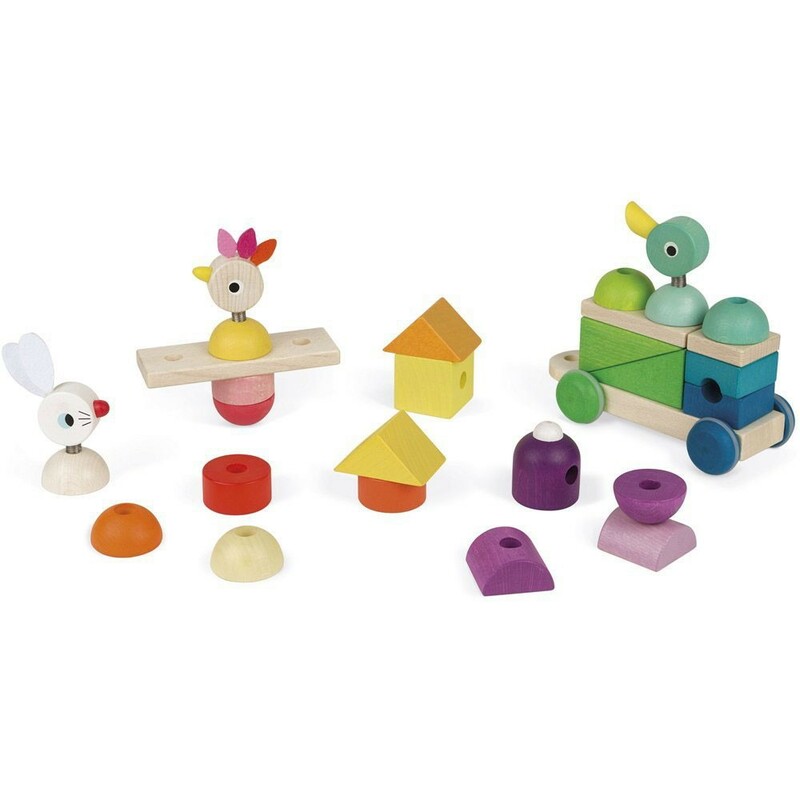 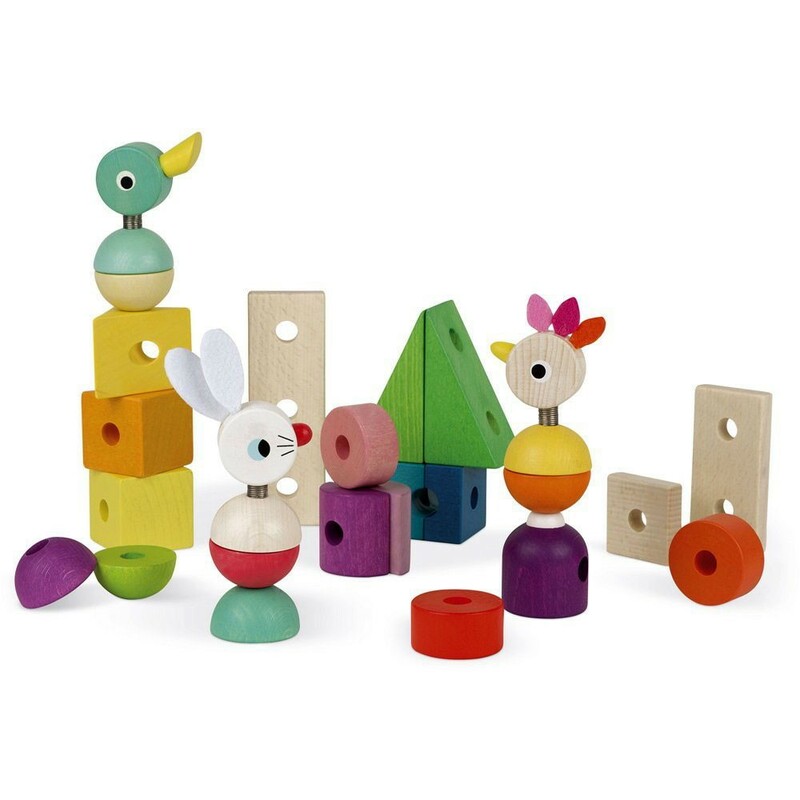 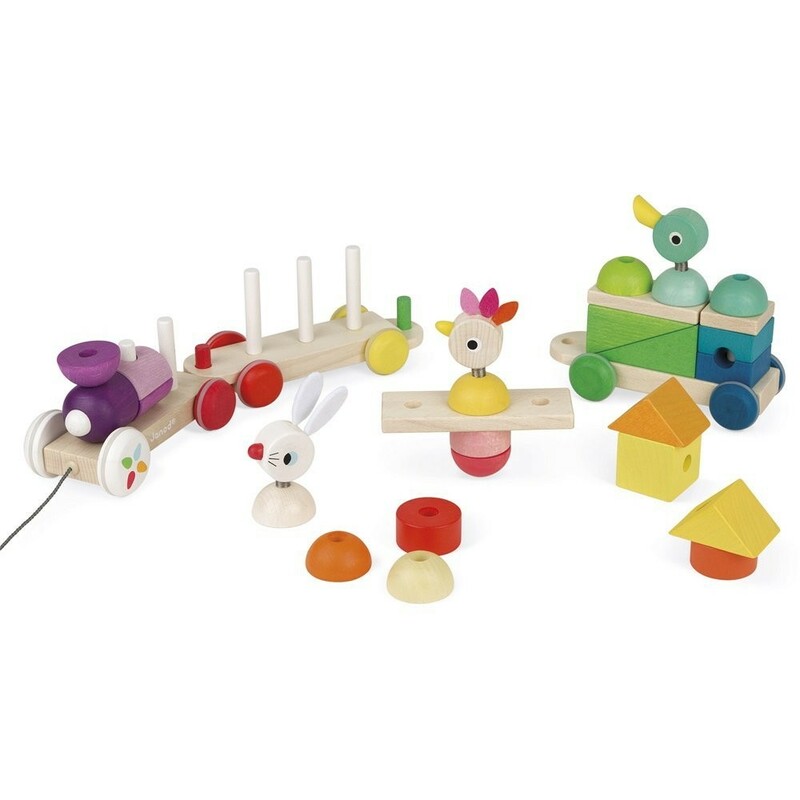 The Zigolos stacking set comes with 25 colorful pieces to build first towers or make a 3-car pull train. 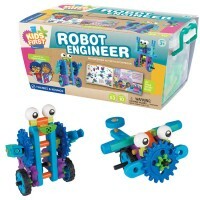 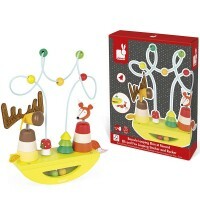 Educational Toys Planet is proud to present this terrific activity toy to toddlers. 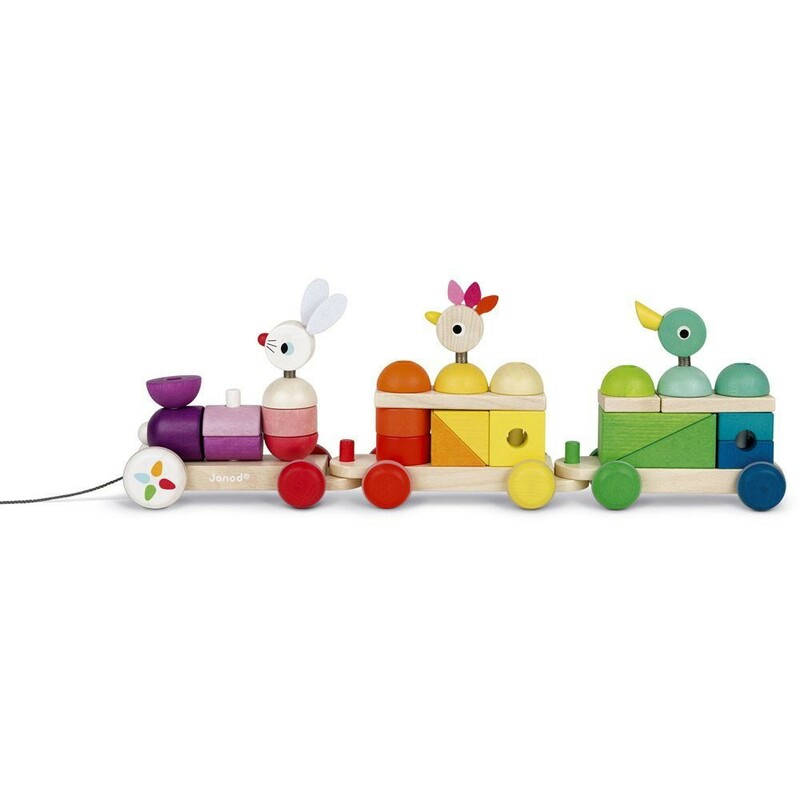 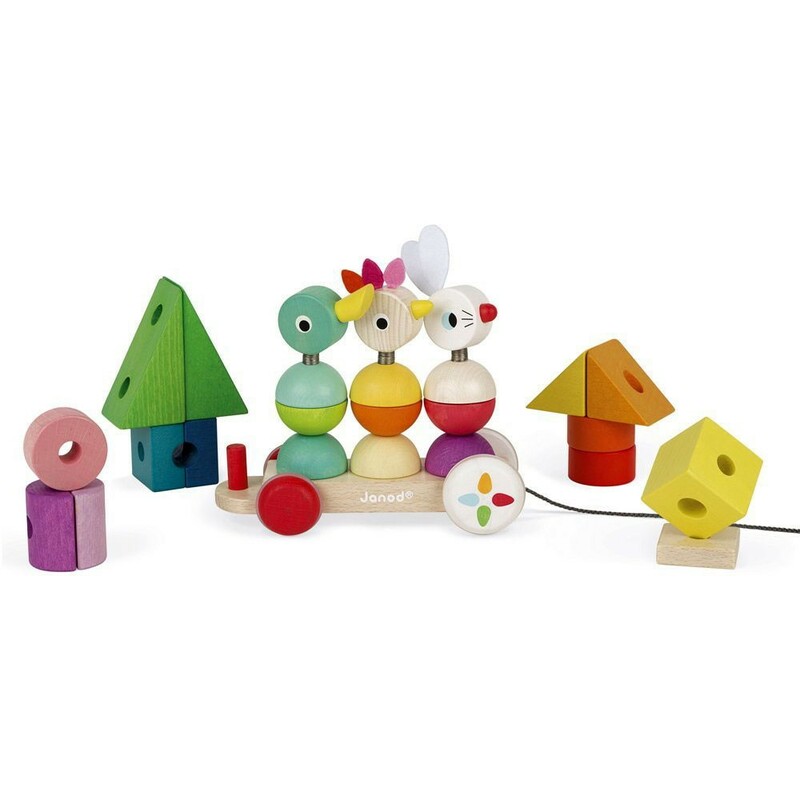 The Zigolos train is made of quality beech and cherrywood and hand-painted with safe water-based colors. 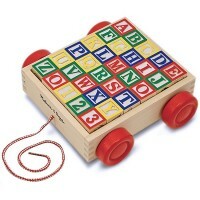 Silent train wheels are made from non-slip rubber. 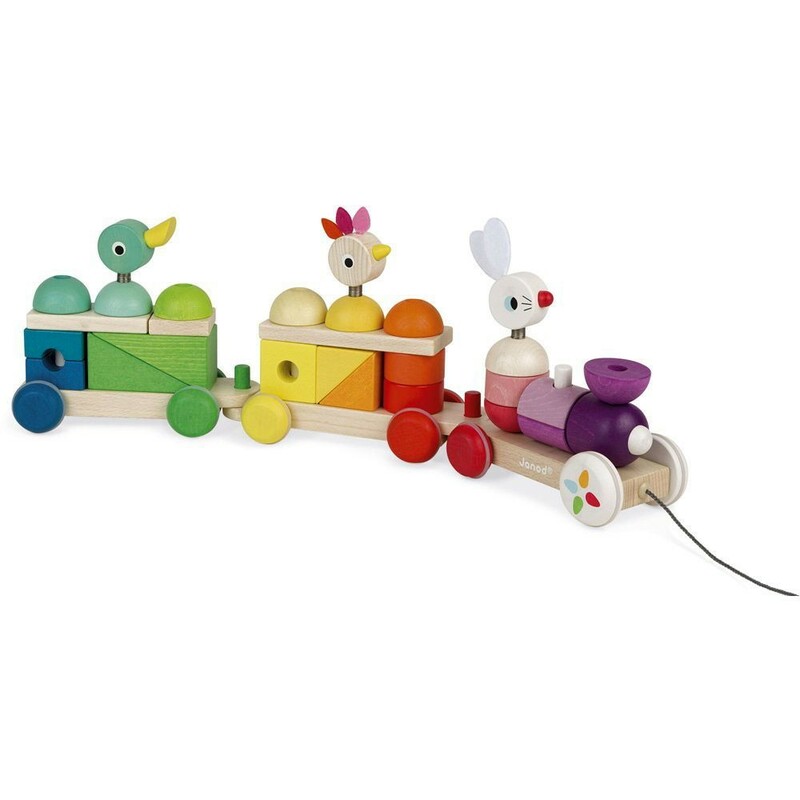 The string is 19.7 inches long, just perfect for the little guys to pull around. 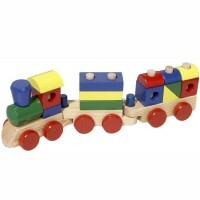 Dimensions of package 3.35" x 20.47" x 7.09"
Write your own review of Zigolos Giant Multicolor Train Stacking Pull Toy.